As I write this, I’m sitting at my perch in the Craft and Cleaver, St Albans, watching the puddles quiver and blister in the rain outside. My hair is dripping onto the keyboard. We’re apparently in high summer. We’ve got to accept our lot on these islands in the north Atlantic: every weather pattern decides to relieve itself on us before reaching mainland Europe like we’re a dark alley on the way back from a beer festival. Everything is constantly sopping wet – it’s a part of our national psyche. Perhaps we let that culture bleed into our pubs. Our pub “wet culture” is aptly named. Firstly, the pint runs over and drips into the slops tray, then it’s passed to our side of the bar and placed on a saturated runner (if you press down on the glass, sticky liquid rises around its base). Then, you carry it to a table leaving a splattering trail along the floor before plonking it down amidst the pools on the surface from the last customers. Whilst that previous paragraph is a caricature (I’d also like to add it doesn’t reflect the venue I’m in), it’s one that needs no exaggeration in a lot of pubs. And yes – we have beer mats but they’re sporadic – often drowning, or used to decorate the kitchen walls of geeks like me instead of absorb overspill. When I’ve had a beer in Germany, Austria, France or Switzerland, they’ve always been concerned about spillage and the paper doily comes as standard around the stalk or under the base to absorb anything that lurches over the rim but also, as the liquid is cooler from keg, to take the beads of condensation as they pockle. 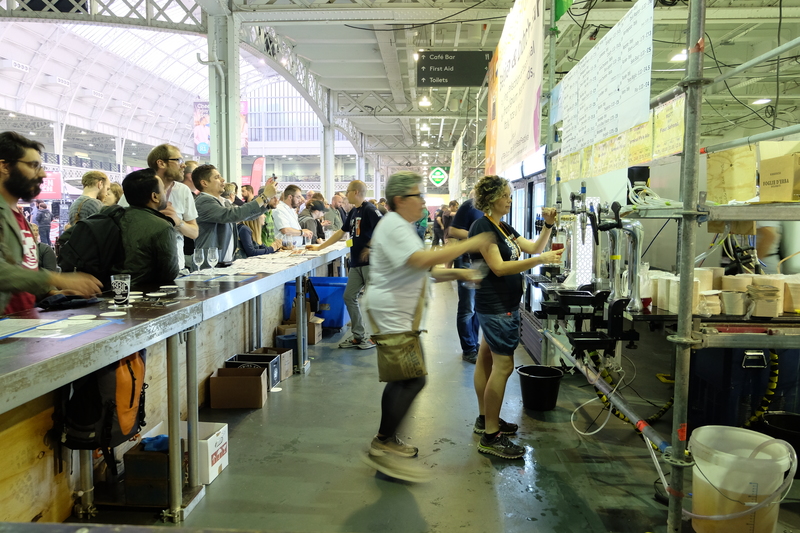 At one of the foreign bars at the Great British Beer Festival, I became entranced by a glass washer. None of the native bars were using one (unless I simply didn’t see them). Each time a glass was taken to the bar to be refilled, it would be pressed upside-down onto a water fountain that rinsed it first. Though washed by the jet, the inside of the bowl isn’t left with any amount of water that would sully or flatten the beer. I had a glass of Früh Kölsch followed by Reissdorf Kölsch, Boon Lambiek and Schieven IPA by Brasserie De La Senne. The same glass was put down on the rinser in between and each beer was in high definition Technicolor on the senses, carbonation and all. These beers have subtle characteristics that weren’t compromised but crystal. In British pubs during busy times, these glasses are rarely re-used but fed into the dishwasher every ten minutes. Someone dashes around collecting table-loads from the lounge and the garden. They are legion – half an hour on a hectic evening accounts for a small clattering mountain. Hotpoint on! I own a china mug I take for a walk with me up the road. I take it to the Starbucks coffee chain who give me 25p off my Americano. At work, I have similar re-usable plastic cups for when I buy coffee on the move. I get the discount again but would still do it even if I didn’t – I do it to avoid waste. For the same reason, I won’t buy bottled water (and yes – I use the “bag for life”, never plastic carriers). 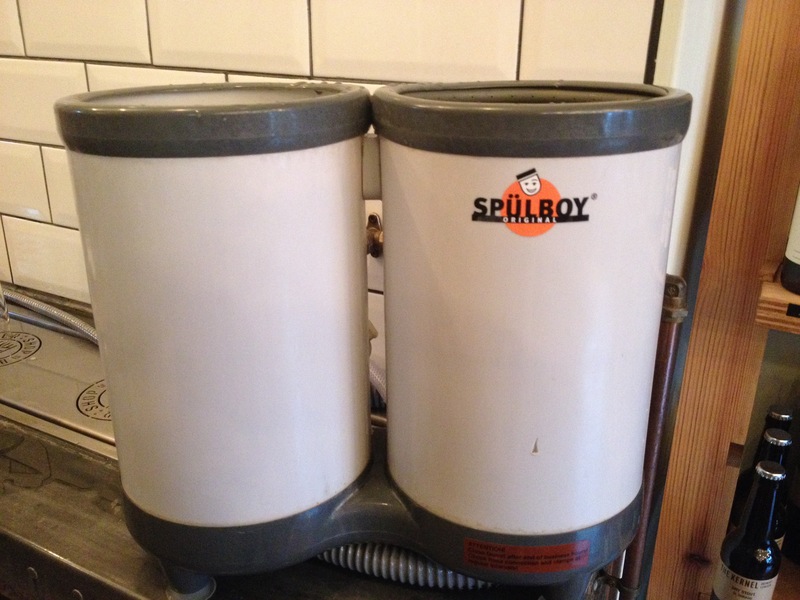 Look in the public bins lining the high street – both the regular and recycling ones are rammed with disposable coffee cups which, as Hugh Fearnley-Whittingstall discovered, are seldom recyclable in the first place. All go into landfill! What if we each took our own glass to the pub with her Majesty’s customs & excise measurement notches clearly etched? Or – as many pub-goers already do in their locals – keep our glass behind the bar. Except in this case, it would be rinsed on the water jet between each pint. Well, Alec, are we supposed to do a day at work walking around with a beer glass in hand until it’s time to leave and go to the White Horse? Well yes and no. It won’t be in your hand but on your desk or on the window sill. And it’s amazing what you get used to. When you have a situation like this, the market will chip in to offer glass guards that can be carried within a briefcase, rucksack or handbag. There just needs to be a demand. 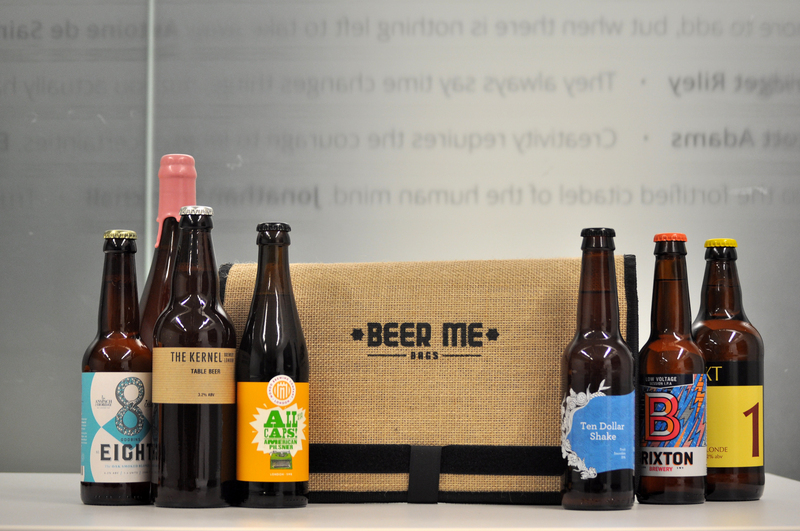 Since beer/bottle shops became popular, there are companies that specialise in bags designed to carry bottles (see a friend of mine’s website – beermebags.com). If not, even a newspaper or jumper will swaddle. It’s easier than you think. Brewing, as we know, leaves a huge environmental footprint. Couldn’t we alleviate this by cancelling out the heat, waste and electricity from the dishwasher on constant cycle? Glass mountains needn’t accumulate in pubs. It would be a tiny change personally, potentially a big change culturally. Greetings! Ꮩery helpful advice within this post! Several sounds like a real guy. I’d visit his site and buy his pills, Alex. Why would you buy the Starbucks when the filter is half the price (and better). Well done on the reusable though,mine saves me a ton. You mean why Americano when filter is cheaper? It’s got more caffeine. I’m not proud (though you’d also get 25p off the filter too). By “Several” do you mean Csaba – the owner of the website I’ve added a link to?